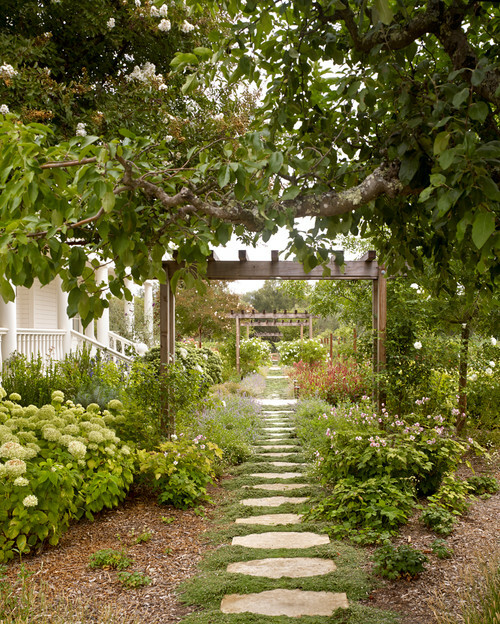 Our final Weekly Spotlight dedicated to Garden Month is all about outdoor lighting. 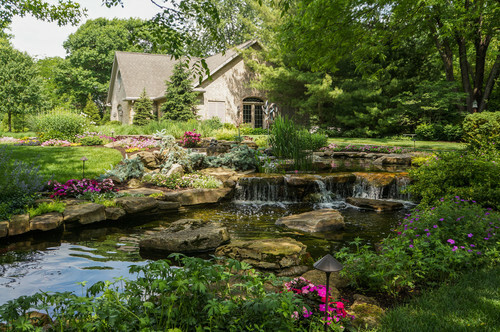 The following five lighting options offer accent lighting at night and decorative appeal during the day in your gardens and yard, and they are all perfect for spring. 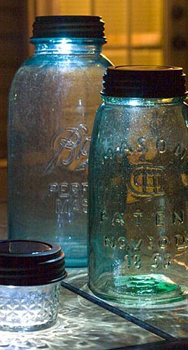 Starting small with this light fixture which can be attached to any standard Mason jar. The LED light gets its power from the sun so you can set up a rustic country look in your garden without much fuss. This outdoor lantern light is affixed with a flameless candle so you don’t have to worry about a burning flame in your outdoor spaces. 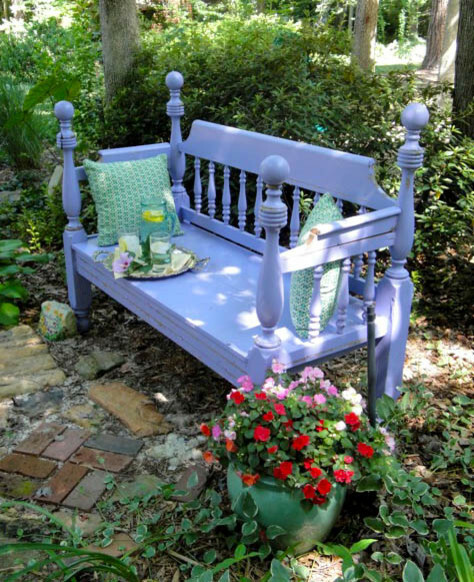 While it will look charming in a garden, it would also give a welcoming impression on a porch or front stoop. Another solar option, this time for the side of you house, a garage or garden shed. 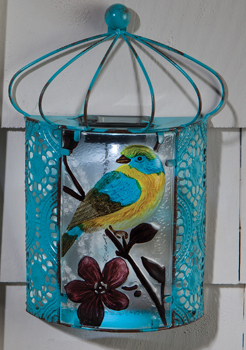 The hand painted glass and blue metal frame make this decorative stand out in any space. One of our newer Blossom Light Stakes, this pretty tulip is a smaller version of the others. It’s perfect for a small flower garden or for marking a walkway (or path) in your outdoor spaces. Offering a whimsical, Narnia-like look for a walkway or garden, this lantern offers the most light out of these five outdoor lighting options. This lamp does need to be plugged in, but it’s UL approved for exposure to moisture. 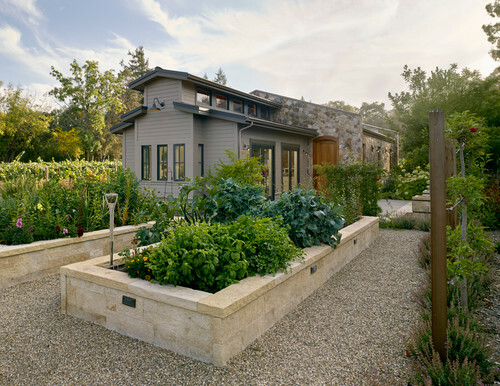 How do you use lighting to illuminate your gardens, yard and outdoor spaces? 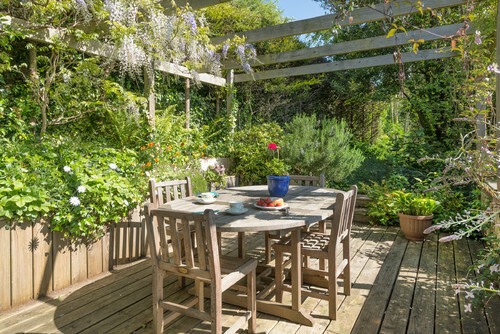 Share your thoughts and tips below, and happy gardening! Our next Garden Month topic is Fairy Gardens! 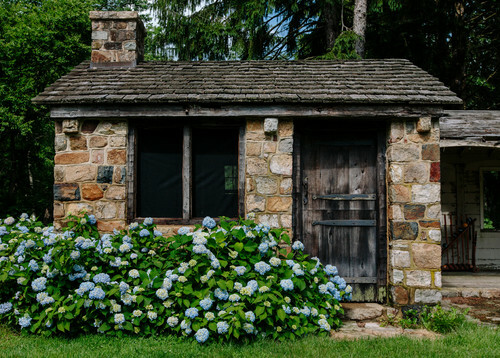 These fun spaces can be quite elaborate or as simple as creating a mini trail with rocks in a flower garden and arranging some moss to look like a wreath. 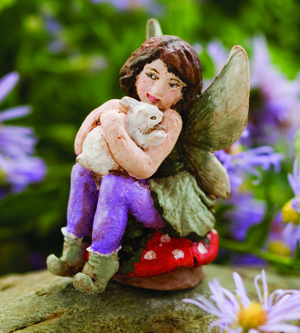 If you would like to add some fairies and similar accessories to a fairy garden of your own, look no further than our web exclusives. Here are five fairy-related accents you can use to create a whimsical outdoor arrangement in your garden. 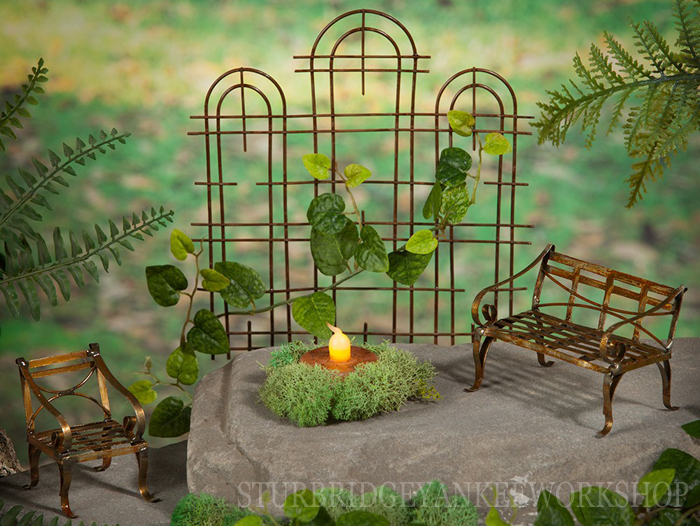 The miniature Rustic Chair, Garden Trellis and Rustic Bench are all made from the same antiqued metal, which makes a warm, complementary addition to an outdoor space. 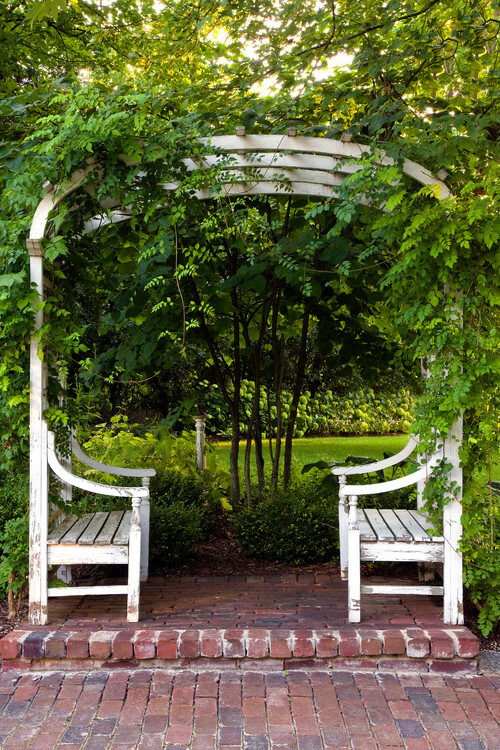 If you have small plants or vines in a garden, the trellis is also functional! 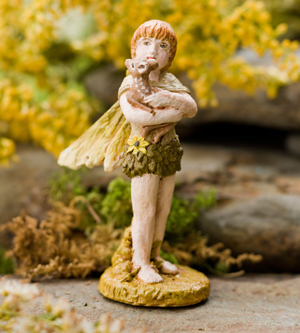 We have a small assortment of miniature fairies, but the Best Friends and Honey Bunny fairies are two of the cutest. With small animals in their arms, these figures are true beings of nature. And if you are interested, you can find our other fairy figurines and accents here.